Seymour Demonstration Forest on the North Shore is an ideal destination for cyclists seeking a safe, scenic ride with a great picnic spot. 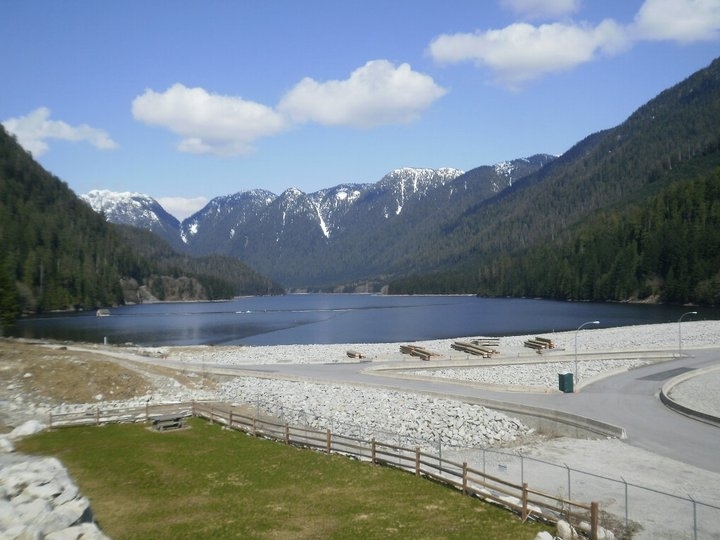 While many trails in and around Lynn Headwaters are strictly for hikers, the Seymour forest boasts a 10km, paved trail that is open to cyclists, pedestrians, rollerbladers and anyone else wishing to get out and enjoy the woods. This ride can be enjoyable for everyone from families with young children to cyclists looking to get away from traffic – although I think mountain bikers would be bored silly! Road bikers frequently use this trail as a place to train, often doing multiple trips up and back. The trail is paved until the 10km mark and is in good condition. Rollerbladers won’t find themselves stumbling over rough sections or loose gravel. The trail twists and undulates through a lovely forest of conifers, allowing visitors glimpses of the surrounding mountains in some sections. Around the halfway mark there are conveniently located outhouses and picnic tables, and at about 7km in there is a second picnic area which makes a nice rest stop. There is also an outhouse just before the 10km mark. 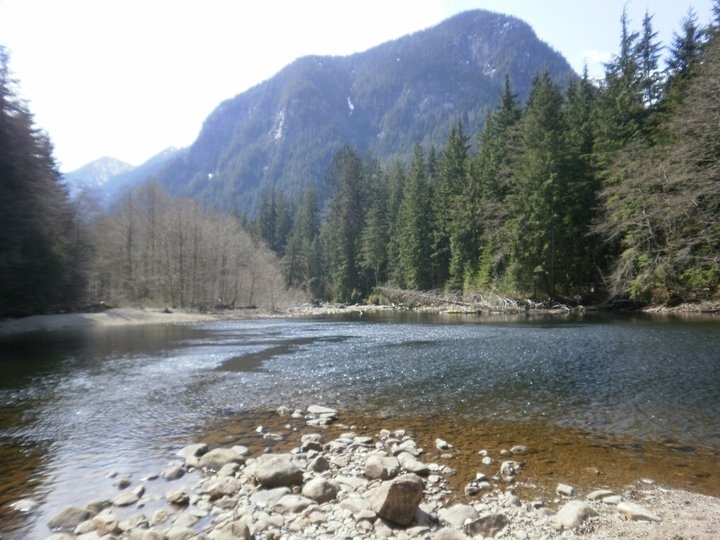 At the end of the paved trail, those feeling adventurous can continue along a gravel trail that winds through a mossy old-growth forest alongside the Seymour River and ends at the fish hatchery. If you have the time and the energy, I highly recommend doing the extra distance on the gravel trail. The river tumbles over the rocks in some sections and flows lazily in others. One of my favourite spots on the North Shore is just before the hatchery: a sandy, sunny spot at the river side that makes an ideal picnic spot. The hatchery is a fun destination because there are different types of salmon fry swimming in pools covered by fences and netting. And just past the hatchery and up a steep hill is a stunning view of the reservoir. Getting to and from Seymour Demonstration Forest is easy, both by car and public transit. To drive, simply take Exit 22 off of Highway 1 and drive up the hill (toward Capilano University). Pass the university and continue past the cemetery and water treatment facility until you reach the end of the line – a parking lot and ranger station. The parking lots do fill up on sunny days, but then drivers just park along the road so you’re sure to find a a spot somewhere. To bus from downtown Vancouver, take the Seabus across the water to Lonsdale Quay and jump on a #228 bus. Then simply stay on the bus until nearly the end of the line (the driver can announce “lynn headwaters” for you if you’re unsure). Then bike a little ways up the road and down a steep hill, across a pedestrian bridge and up a gravel pathway. You’ll find yourself at the trailhead in no time. The cold, snowy weather today is making me think nostalgically about warmer, drier weather – ideal weather for cycling. In case you didn’t know, it’s possible to cycle from Lost Lagoon all the way around Stanley Park to the Telus World of Science (via English Bay and Yaletown) and end up at Granville Island without having to ride on the road. A few Saturdays ago I set out to do this ride, one of my favourites. I started at Lost Lagoon. This is a great place to start if you’re renting a bike or tandem bike, because there are three bike rental shops nearby. 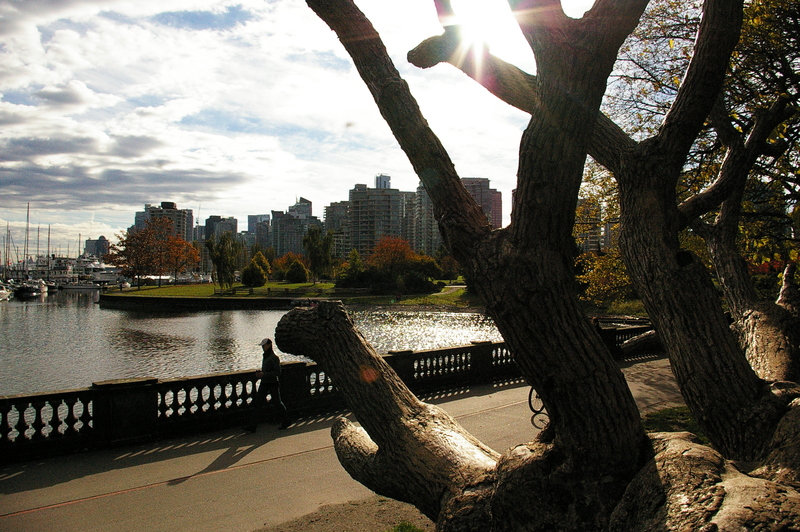 The best known is Spokes, which is on the corner of Georgia and Denman, right next to the park. I looped Stanley Park on the seawall (counter-clockwise direction), dodging confused pedestrians in the bike lane and construction areas. The seawall has been under construction since summer 2010 as they upgrade the pavement and walls where the ocean meets the land. Third Beach was bustling with morning sun-seekers despite the chilly temperatures. Looking back at the city from the seawall. From here it’s not too much further on to the Edgewater Casino (another great spot for people watching, as gamblers stumble bleary-eyed out into the daylight). In the summer, you can see the tents of Cirque du Soleil just past the casino, but on a fall day it’s just a vast empty lot. The next section of seawall is picturesque, but it is not ideal for bikes because of the cobblestone in some sections. Watch out – it’s slippery and quite bumpy at times. The path continues on to Granville Island, where you can stop for a visit (bike parking is decent) or continue on through the townhouses, duck ponds and dog parks. I turned off the seawall at the connector to the Burrard Street Bridge. Hey, we’ve got these great bike lanes, we might as well take advantage of them! It’s just a quick jaunt back across the bridge and I arrived back downtown. A perfect way to spend a couple of hours on a beautiful afternoon.